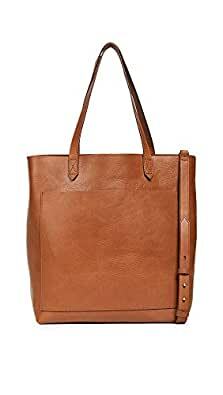 This simple Madewell tote is crafted in wrinkled leather. Slim front pocket. Raw top line and unlined, 1-pocket interior. Double handles and optional, adjustable shoulder strap.